Informational project “Unconventional Gas in Ukraine” was launched in 2013. In July, 2014 our monthly audience reached 3 387 visitors mostly from Ukraine, but also from United States, United Kingdom, Russian Federation, Poland, Netherlands, Germany and more than 100 other countries. The number of subscribers to our monthly newsletter exceeds 350 readers. 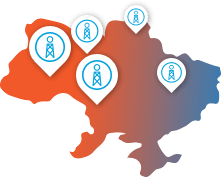 Our audience include representatives of Ukrainian and international oil and gas industry companies, scientific institutions, think-tanks, environmental NGOs, state authorities, journalists and general public. To learn more about advertising opportunities and pricing, please, contact us at ads [at] shalegas.in.ua.